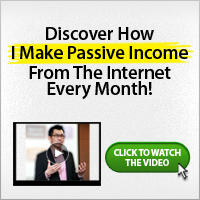 Building a successful business on the Internet is not a get rich quick scheme. If you are not willing to put in the time, money, dedication, effort, courage etc to be trained and educated, there is no point considering making real money online. * Learn step by step on email marketing to achieve results the way professionals do. * Discover the secret of pay per click and win with it. * Learn how to start your e-business and succeed online. - Training via skype takes 2 hrs on Wednesdays and Fridays, this last for 4 weeks. - Training via webinar takes 3 hrs on Tuesdays and Thursdays, this last for 4 weeks. - Training via one-on-one takes 4hrs on Saturdays and Sundays, this last for 4 weeks. - Training via offline seminar takes 3hrs on Sundays, this last for 1 day. To subscribe for one of these, send me a mail using the form below. Please, state explicitly what you really want to learn.